As we have since July 2006, each Friday we’ll post our sampling of cigar news and other items of interest from the week. Below is our latest, which is the 537th in the series. 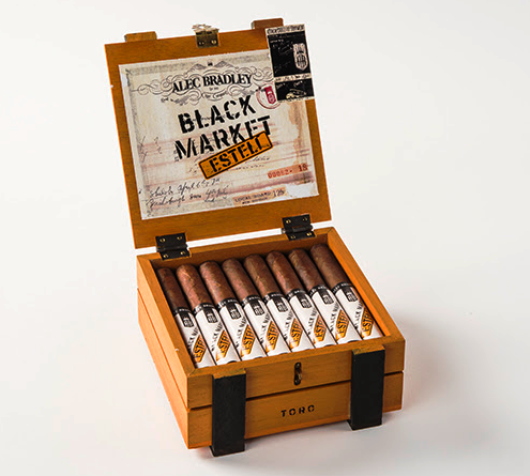 1) Alec Bradley has announced two new premium cigars that will debut at the IPCPR Trade Show next month: Prensado Lost Art and Black Market Estelí. Both “are iterations of two of Alec Bradley’s most popular cigar lines.” According to company owner Alan Rubin: “IPCPR is the perfect opportunity to share our latest product innovation with tobacconists from around the world. Lost Art and Estelí have been previously marketed in limited quantities and are now ready for their global release.” Both blends “were created to be compliments to their original lines.” Both cigars will be offered in five sizes and sport dual binders from Nicaragua and Honduras and filler tobaccos from Nicaragua and Honduras. Prensado Lost Art has a Honduran wrapper, whereas Black Market Estelí features a Nicaraguan wrapper. 2) In celebration of its fifth anniversary, Nomad is expected to introduce a limited number of “First Run” cigars from 2012 at the IPCPR Trade Show. “The owner of Nomad Cigar Company, Fred Rewey, started Nomad in 2012 with one line,” reads a press release. “The company portfolio has now grown to 14 blends and 51 SKUs.” According to Rewey: “The fact of the matter is that when I started I was not really clear on which sizes would work and which wouldn’t. That led to an overrun of two sizes in particular: a round torpedo and a small perfecto. Recently, I discovered that we had a limited amount from the original run and began smoking them. It seemed only appropriate to share these aged beauties.” Nomad First Run will be available in very limited quantities to existing Nomad retailers. 3) Inside the Industry: Red Sox legend David Ortiz will make an appearance at the IPCPR Trade Show on July 13 for a meet-and-greet with retailers as part of the promotion for his Big Papi cigar. “We are excited to have David come to the show,” states Radhames Rodriguez, President of El Artista Cigars, maker of the cigar. Ortiz is scheduled to be at the El Artista booth for two hours starting at 2 PM on July 13. Afterward, Ortiz will attend a private dinner with select El Artista retailers. 4) From the Archives: If there is any advice we’d like to impart to cigar smokers it is to not rush the process. That’s the point made in this 2007 commentary, and it is still excellent advice ten years later. 5) Deal of the Week: For today only, here are 100 deals including cigars from Fuente, Ashton, Oliva, My Father, Rocky Patel, Cohiba, and more. Free shipping is included on any purchase. If you really want to stock up, add promo code “GBP20D” at checkout to knock $20 off an order of $150 or more.